When I used to play Warhammer 40,000, one thing I loved as much as the game itself was the design of the models. They were beautiful evocations of the game’s aesthetic, representing a dark and violent future. This was best summed up in the illustrations included in the rule book and the different faction’s codexes. Between pages filled with character statistics there would be a moody tableau of scenes from Warhammer history rendered in ink as beautiful as a woodcut by Albrecht Dürer. Theses picture were possessed by a morbid gloominess that made them slightly scary. The bodies they depicted were adjacent to reality. Space Marines had an intricate dieselpunk design that were baffling in their apparent needless complexity. There were monstrous Orks or twisted chaos figures, sick parodies of their Space Marine opposites. I could stare for hours at these science fiction nightmares. Years later I discovered that these images were heavily influenced by the neo-Gothic art style, sometimes called the Gothic Revival. In Britain this style was popular during the reign of Queen Victoria, specifically in the 1850s and 1860s. Although the neo-Gothic touched literature and other art forms, its best remembered for the architecture movement that produced stunning achievements of Victorian design such as The Palace of Westminster and Strawberry Hill House. The neo-Gothic emphasises an exaggerated, slightly mythologised version of medieval Gothic buildings such as Salisbury Cathedral. Design features include sprites, gargoyles, ornamentation of every kind and a Victorian enthusiasm for unselfconsciously piling more on top of more. For me these buildings represent a link between the present and British history as they are relatively recent (compared to medieval castles) but are older than my grandparents, the oldest people I have ever known. The reason that the neo-Gothic images of Warhammer 40k appealed to me is that they were very different to every other vision of the future I had seen through science fiction. Most sci-fi futures appear to have been designed by Apple. Their aesthetic is sleek, minimalist and modernist. The smooth surfaces and dramatic curves of the Starship Enterprise epitomise the modernist view of a perfectly engineered future. To paraphrase the great modernist architect, Le Corbusier: “a spaceship is a machine for living in”. Warhammer 40k pays no such homage to the optimistic science fiction of the 1960s or sleek modernism of the 1930s. It looks instead to the Victorians with their morbid obsession and industrial vigor to paint a picture of a future that is pessimistic and bloody. Having a style that consciously evokes a period in the past, rather than a contemporary view of the future, prevents Warhammer 40k’s vision of the future from dating. The complete dominance of modernist design elements in Stanley Kubrick’s 2001: A Space Odyssey looks as dated as the idea that we would live on the moon at the turn of the millennium. The design of Warhammer 40k remains immune from ageing. As time went by, I discovered that there were other alternatives to the perfectly engineered modernist science fiction, such as cyberpunk with its gloomy, rain-soaked, film noir aesthetic. This is best summed up by Blade Runner, a film I loved from the moment I saw it, but is also summed up by games such as Cyberpunk 2077 or the superb anime Ghost in the Shell. Other visions of the future include Mad Max’s post-apocalyptic hellscape, which I find frightening as they show humans uninhibited by any laws created by states or social norms. As Cambridge economist Ha-Joon Chang has said, Max Max is the perfect neo-liberal society, one where individuals and markets have complete freedom, and it is disturbing. Warhammer 40k’s use of the neo-Gothic also inspired fear of the constant presence of violence in me. The aesthetic of a society that was pious and fearful of death, perfectly suits a future human society that is consumed by constant war. A future where humanity is beset by terrifying aliens like the Tyranids or frightening creatures from beyond space and sanity, such as the Chaos Demons. The Warhammer 40k universe is scary to look at because it's scary to live in. Battlefleet Gothic was perhaps the best incarnation of this aesthetic. The ships were salutes to Victorian cathedrals complete with spires and flying buttresses. It looks as if the great age of steam had taken off into space to fire broadside cannons the size of houses the horrors that descend on humanity from the stars. It specifically reminds me of the neo-Gothic cathedral at Cologne; a huge black form, covered in buttresses, gargoyles and spires that was once the tallest building in the world. The popularity of the neo-Gothic aesthetic of Warhammer 40k is surprising because of how unpopular it was in Britain for many years. Today we treasure buildings such as the Palace of Westminster, our national symbol, and curse the short-sightedness that wanted to turn St Pancras station into a concrete cube like Euston. However, throughout most of the 20th century, the neo-Gothic was hated for being gaudy, ugly, monstrous in proportions and symbolic of the self-righteous piety that tolerated enormous poverty and squalor. Now we have reverence for the neo-Gothic, which should offer a warning from history about how we treat other much-maligned architectural styles such as Brutalism. Brutalism has been hated for the same reasons as the neo-Gothic; considered monstrous in proportions, ugly and in poor taste. Brutalism reminds me of a different science fiction vision of the future, that of early 1970s Dr Who adventures such as Frontier In Space, which was partly filmed on the Brutalist Heywood Gallery in London. I believe that Brutalism is disliked because of its association with post-war council housing schemes, which were left underfunded to decay into sink estates. Building such as Trelick Tower in Kensal Green, the notorious Tower of Terror, or Robin Hood Gardens in Poplar became synonymous with the failures of postwar housing. They became a synonym for high crime, poor education, drug addiction, unemployment, teenage pregnancy and a whole host of other stereotypes about the poor. Brutalism painted a vision of the future associated that I associate with the optimism of the post-war consensus. When we see Brutalist buildings in the science fiction of the 1950s and 1960s, it reminds us of the hopes of those periods. Hopes that were destroyed when that consensus was dismantled in the 1980s. The neo-Gothic was hated because of the perceived hypocrisy of the Victorians with their strong Christian morality that still tolerated squalor, child poverty and the workhouses. Brutalism has also been hated due to the perceived hypocrisy of postwar council housing that sought to provide modern homes for the poor that quickly became poverty traps. During the 1980s, when there was a backlash against postwar state intervention, people turned on Brutalism and the estates that bore that aesthetic. Ironically this was when people began to embrace the neo-Gothic as beautiful. A generation that came of age in the 1980s rehabilitated the neo-Gothic, which is evidenced by its use in Warhammer 40ks. Now my generation is seeking to rehabilitate Brutalism and the estates made in this style. I appreciate the ambition of Brutalism, just as I appreciate the ambition of the neo-Gothic. In the future, we may find these buildings to be beautiful and consider the razing of The Tricorn Centre in Portsmouth as the destruction of our cultural heritage, just as we do for the leveling of Euston Station’s Doric Arch. It was through playing Warhammer 40k that I came to appreciate the neo-Gothic and the feelings that it invoked. Appreciating the neo-Gothic opened my minds to appreciating other controversial architecture styles such as Brutalism. Warhammer 40k added to my understanding of architectural history because it spiked my interest by being different to everything else that I had come to understand as science fiction. This deep appreciation all came from those dark, ink drawings found in Warhammer 40k rulebooks. What do we think about when we think about the future? I don't mean the future as in tomorrow or next week, or even next year. I mean, what do we think about when we imagine the future as science fiction writers might imagine it – the future in 50, 100 or 500 years’ time. Although based on everything that happened last year, 2020 seems like the far future. When we think about the future, we mostly think that it will be awful; at least, that is what our science fiction is saying. You can tell a lot about a society from the science fiction it produces, as it shows how we think about the future. Judging by some of our recent output, we seem to think that civilization will collapse and we will be living in a wasteland like Mad Max: Fury Road or an extremely hostile urban environment like the Girl With All The Gifts. Visions of destruction are more common than utopias. The works of authors such as Iain M. Banks or Hannu Rajaniemi show there is a lot of scope for telling stories in utopias. 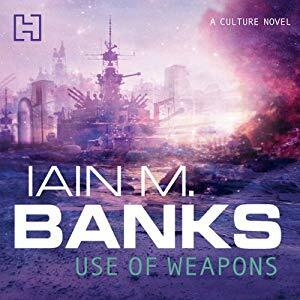 We seem to have stopped believing in utopias, probably around the time Iain M. Banks died in 2013. Our visions of the future are more Battlestar Galactica than Star Trek. There is a lot of uncertainty about the future right now, and a lot of fear. That is understandable. With rogue states testing nuclear missiles, horrendous wars and the rise of aggressive nationalism, the world and the future looks pretty scary. This is reflected in our popular culture. However, this is not the only time in our history that we have been frightened of the future. In the 1960s there was a lot of fear about the immediate future – in 1963, during the Cuban Missile Crisis, many believed the human race could end in a nuclear firestorm at any moment. As well as this, Western society was deeply divided along racial and political lines and violence was common. There was also a sense of optimism about the future. It was around this time that Star Trek first appeared on TV. Star Trek had a radical vision of a future without racial tensions, where Americans, Russians, Japanese, aliens and even Scots could go boldly forth together. Around the same time, Dune was published, and although it did not strike the same optimistic tone as Star Trek, it did show that the future will be vibrant, strange and filled with a terrifying beauty beyond anything we could imagine. Crucially it said that we would survive the Butlerian Jihad and reach the stars. So if we were frightened in the past, then why are we so grim now? The vision of a future in The Expanse, riven with conflict, seems more likely to come true than the harmony of Star Trek or the discordant beauty of Dune. The key difference is that in the 1960s we were wealthy. The economy was growing and people were getting wealthier, new products and technologies were appearing in ordinary peoples’ homes. The future was arriving through home television sets and commercial flights, and people could imagine this continuing until we all lived on the moon, like in 2001: A Space Odyssey. The reason why we fear the future now is not because we have tangible external threats from North Korea or ISIS, or even homegrown extremists, but because we have an internal crisis in our society that appears unresolvable and is more fundamental than a war or terrorism. A crisis with capitalism itself. “It is easier to imagine the end of the world than the end of capitalism,” Fredric Jameson said and he was not wrong. We know that capitalism has been in crisis since the 2008 crash. The economies of the West are sluggish and weak. Wages have stagnated for nearly a decade and the cost of living is rising. A house that is not objectively awful is out of reach for most people. We are working hard and earning less. No one feels wealthy or confident about the future. The main problem is that we don't have an alternative for capitalism, or even for this kind of ‘anything goes’ capitalism – or at least, not one that commands widespread support. Look at the collapse of moderate, social democratic, left-wing parties across the West if you think otherwise. If we cannot imagine a solution to the problems in our society then we cannot imagine a future for our society. If the futures we imagine are not post-apocalyptic wastelands, then they are oppressive dictatorships likes The Hunger Games or 1984, which is suddenly popular again. This is because we can believe that the capitalism will end in fascism. It has happened before. However, imagining that capitalism will end in fascism is one step closer to accepting that our future is fascism. We need to start imagining solutions to our problems or will we sleepwalk into tyranny or the complete collapse of society. Science fiction is one place where we can imagine a world where we have outgrown capitalism, or at least a world where we have fixed the problems that are killing our ability to imagine a future that is not filled with suffering. Science fiction plays an important role in society by showing us how we think about the future. Right now, it is showing us that we think that there is no future. We need a science fiction that imagines a better future - not necessary a utopia, but a way through this crisis. Sci-fi can provide hope to the hopeless that there will be a better future, which is desperately needed right now. We may be frightened of the future, but it does not have to be this way. Sci-fi can show us something else if it tackles the problems that we find ourselves facing. It can show us that the stars are within our reach. All we have to do is reach out and touch them. Adaptations are in: from comics to classic literature, our films and TV screens are dominated by characters originally convinced for other mediums. The most successful of these focus on well-established characters from stories written decades ago that have been adapted several times before. Characters such as James Bond and Batman are being constantly reimagined and updated. Now these larger than life cultural icons dominate pop culture. These cultural icons favoured by high-budget film and TV adaptations are the ones we have all grown up with and seen in many different forms. They include American characters, such as Superman from the golden age of comics, and icons of Britishness, such as Sherlock Holmes. Many have changed over and over again to suit each new age, like Dr Who. Batman and Bond have been camp, surreal and moody depending on how we want them to reflect how we see ourselves. These characters are larger than life. In the recent film Batman vs. Superman: Dawn of Justice, Clark Kent looks up a statue of Superman that is several stories high, an unsubtle way of saying that the idea Superman is bigger than any one person or story. The recent BBC adaptation of Sherlock Holmes featured Sherlock dealing with the consequences of his own fame: the character of Sherlock is surpassed in the public's mind by a mysterious, unknowable figure in a deerstalker hat who appears on the front page of newspapers. In the recent series of Dr Who, the Doctor is not so much a person but an idea woven through time and space itself. Many fans, writers and viewers grew up with these characters, and as we did so, our understanding of them grew as well. Now that lifelong fans control the companies and broadcasters who own these characters, we have entered an introspective cultural age. Since the 2008 financial crash, western civilisation has been asking questions about what we stand for and what should we stand for? Nowhere is this more apparent than with writers adapting these larger-than-life cultural icons into new stories. Writers are exploring our culture-wide uncertainty about the future by using established cultural icons to ask questions about who we are. This is done by making films or TV series that ask the question who is James Bond or who is Sherlock Holmes? The larger-than-life status of these characters means that stories which explore who they are often do not fit into works that are believable. Writers have to compress their complex history into a believable human being, and nowhere was this more apparent than in the recent Sherlock Holmes Christmas special that tried to reconcile the present day and the Victorian Sherlock into one story. It ended up being a nonsensical mishmash of two tangentially related plotlines. Sherlock cannot be both his modern self and his Victorian self, and this make sense in a story that takes place in a world which we can recognise as being our own. The Sherlock Christmas special is not the only example where this approach has led writers astray. Writing a story that asks questions about a cultural icon can led to an excessive focus on character and not enough on story. Most people want Sherlock or the newest DC film to be an entertaining story, not existential musing on the nature of Batman. The story must stand alone and be believable to the audience. Another example of when the story was not believable was the most recent James Bond film, Spectre. Since Daniel Craig took over as Bond in 2006, we have been treated to a darker and grittier take on the suavely-dressed, wise-cracking spy. These stories have probed the nature of who James Bond is – is he a psychopath, or can he connect with other human beings? How can someone recognise their humanity after killing so many people, and treating almost every woman he meets as subservient to his will? In the most recent adventure, Bond uncovers an international criminal organisation which has been behind all of the awful things that have befallen him. This global criminal syndicate seems to exist only to test James Bond; it is as if he is the most important person in the world. This has come about through trying to reconcile the icon of James Bond, the criminal enterprise Spector from the classic James Bond adventures, and a story which focuses on Bond's humanity. In our introspective age, James Bond cannot fight a global criminal network as he did in the 1960s: instead, the global criminal network must ask questions about who is James Bond. The problem is, in our world international criminal organisations do not focus their activity on antagonising one person. This makes the story inherently unbelievable. Man of Steel chose to focus on how alien Superman is, rather than how human Clark Kent is. By constantly putting across how unlike us Superman is, we can see the character as the great culture icon which he is. Superman clearly cannot be human, as no one person can wear so many faces and do so much over the years. This makes Superman difficult to relate to. Audiences are not interested in a protagonist they cannot understand and no one can understand what it is like to be a cultural icon like Superman. This makes Man of Steel quite a cold film, with a protagonist that viewers cannot relate to. Sherlock focuses on the relationship between Holmes and Dr Watson as the source of most of its drama. This misses the whole point of Sherlock Holmes, solving mysteries. The character of Sherlock has always been seen through the eyes of Watson, as it is the only way he can be knowable to ordinary human beings. However, when writers focus on the internal conflict of who is Sherlock Holmes, or the interpersonal conflict between Holmes and Watson, they miss the extra-personal conflict of the mystery to be solved. Focusing on the character of Sherlock is fine, as long as a good story can be told as well. In recent years, Dr Who has become very introspective around the nature of the Doctor; an entire plot arc focused on the need to prevent the Doctor from answering the question of what his name is. This focus on the Doctor as an icon has meant that within the world of Dr Who, the Doctor has grown as a character from someone who joyrides through time and space, to a titanic figure who has seemingly touched the life of everyone in that universe. So much has the Doctor grown in infamy, that several times he defeats the antagonist of an adventure simply by shouting "I am the Doctor" at the problem – The Forest of the Dead is a notable example of this. I can see how knowledge of the Doctor would grow over time in the universe of Doctor Who, but the current obsession with the nature of the Doctor as an icon within his universe has meant that he has grown to become not only godlike but the greatest and only God of this universe. This prevents the Doctor being relatable as a character, makes the dramatic events less believable and the narrative suffers. Any writer dealing with one of these cultural icons needs to avoid these three mistakes. This age of introspection has produced some good films and TV shows. Batman Begins is a strong example of how to take an established character, ask questions about them and tell a good story. The film was successful in explaining why a man who wanted to fight crime dressed up as a bat and wore a cape despite the obviously impracticalities. It made Batman believable. Focusing on the psychological effect that the death of his parents had on Bruce Wayne made him relatable. Also, turning Batman's trainer into a villain made for an interesting narrative. There are other examples. Casino Royale is the best of the Bond films starring Daniel Craig. It shows the origin of Bond's bloodlust through the trauma from the death of his lover, Vesper. This is believable and relatable. The film also has a great story. In Sherlock, the adaptation of the Hound of the Baskervilles was their best episode as it had a solid mystery at its core, thus delivering a good story. From this I can determine that the three important characteristics to bear in mind when writing a story with a well-established cultural icon is believability, relatability and narrative. Writers working with these larger-than-life characters should keep this in mind so that the stories they create are engaging for an audience who are not as interested in asking questions about who is Batman or Bond. Generally, audiences prefer well-written stories focusing on their favourite characters – after all, the quality of their stories was why we fell in love with these characters in the first place. The London Natural History Museum is unusually crowded, even for a Saturday afternoon. Children charge in every direction towards the skeletons of dinosaurs or volcanic rocks. Parents fret and try to keep up, or at least not lose their children in the throngs of people. There are tourists with confused expressions, who stop in the middle of a corridor without warning. Teenagers are taking selfies with the statue of Charles Darwin and middle aged men are looking at butterflies with furrowed brows. This bustle of human activity is the most important thing in the universe right now. I step out of the crowd and into the quiet space of the Natural History Museum’s latest exhibition, ‘Otherworlds: Visions of Our Solar System’. The inside of the exhibition is the opposite of the rest of the museum. It is a quiet place in which to regard large static pictures of the planets in our solar system, while contemplating humanity’s place in the universe. Soothing ambient music from Brian Eno plays throughout, an original commission for this exhibition. The exhibition consists of thousands of photos of the solar system - taken by NASA, ESA, probes and rovers - assembled into large images of Earth’s neighbours by the artist Michael Benson. It begins with Earth and the moon, before moving out to Mars, Mercury and Venus, and then travels all the way to the most distant planets. Each picture appears to show a world that is stranger and more alien than the one before it. As I walked around the quiet space filled with enormous images of distant worlds, I was reminded that the universe is cold, dangerous and indifferent to everything we care about. Mercury’s atmosphere is pushed away from the surface by solar light and trails behind the planet like a comet’s tale. Venus’s atmosphere is toxic, heavy and superheated; completely inhospitable to human life. Mars is a dry desert. The rest of the solar system is cold and airless. Confronted with the stark hostility of the universe, I forgot all about the hive of activity outside the exhibition. It all seemed so pointless and brief compared to the surface of other worlds that have remained unchanged for millions of years. It was scary to realise how insignificant we are, but I was also able to see also that the universe has great beauty as well as dangerous environments. Saturn looks sublime with its perfect rings. The cobalt blue of Uranus looks tranquil against the perfectly black sky. The cracked icy surface of Europa (a moon of Jupiter) is beautiful as well as protecting the sea beneath, which is kept liquid by the pull of Jupiter's gravity despite the extreme cold of being so far from the sun. Even in the harshest of environments, nature still holds wonders. The grand vistas of the Martian desert are stunning to behold. The universe is beautiful as well as dangerous. This beauty is timeless and eternal. It is entirely unaffected by anything humanity has done - aside from the odd discarded rover on Mars or probe flying out into deep space. We are so vanishingly small when compared to the rest of our solar system. There are cloud storms in Jupiter's atmosphere that are larger than our whole world. The impact of humanity cannot even be seen on pictures of Earth, a reminder that it is not the world we are trying to save but ourselves. We cannot fathom how small and insignificant we are next to the vastness of the universe. The universe is very beautiful, but utterly indifferent to everything we care about. The ice on Europa will still be there after everything we have ever cared about has turned to dust. A billion years after we are all dead, Saturn’s rings will still be spinning, unaffected by our lives and everything we hold dear. I was left feeling very small and pointless. I emerged from Otherworlds into the hall of mammals at the Natural History Museum. The shouts of the rest of humanity disturbed my Brian Eno-created calm, but the scene was a welcome reminder of the fact that we do matter. Life maybe fragile, small and brief when compared to the planets in the sky, but the vibrancy and diversity of life on Earth is stunning to behold and every bit as beautiful as the surface of dead worlds. Humanity and the petty things we care about are more unusual than anything that exists on any other world we know about, and might perhaps be unique in the entire universe. I felt that I had travelled to the edge of the solar system to be reminded of truth about the people all around me: we maybe be small but we are still important. Otherworlds: Visions of Our Solar System is on at the London Natural History Museum until the 15th of May 2016. Another year is drawing to a close and it's time to reflect on what kind of year it has been. In the cinema, it has been a good year for sci-fi films, with Jurassic World breaking the record for fastest film to gross a billion dollars in June and then Star Wars shattering that record in December. The Sci-fi London film festival also introduced me to several interesting new indie sci-fi films and short films; you can read my summary of the latter here. As with 2013 and 2014, 2015 was dominated by superhero films. Marvel released its usual two blockbusters in the spring and summer. First up was their crossover film Avengers: The Age of Ultron, which combined many great characters, had a charismatic villain and amazing special effects, but failed to come together as a complete narrative. The character development was bitty, spread too thin between too many characters, and at some points just plain dull. We did not need a whole sequence dedicated to Hawkeye’s domestic situation. Later in the summer, Marvel released Ant-Man, which was much better. What could have been a quite daft story of a shrinking superhero who talks to inspects ended up being the surprise witty action hit of the summer. The climactic fight on a model Thomas the Tank Engine railway was spectacular and hilarious. 20th Century Fox are still desperately clinging to their Marvel properties and this year released Fantastic Four, which I did not see but the general impression was that it was dire. The Batmanifcation (yes, I am still trying to make that a word) of superhero films is such that we were treated to a dark and gritty Fantastic Four. No one wants that, as the film’s poor reviews and box office shows. This year remakes were out: there was only one prominent remake and that was Guy Ritchie’s adaptation of the camp British TV spy show, The Man from Uncle. It was funny and filled with early 60s glamour. I enjoyed it a lot; most of the films I really liked this summer were the ones that did not take themselves too seriously. Remakes maybe out of style but sequels were hugely popular, especially sequels to spy films, as we had Mission Impossible 5: Rough Nation and James Bond 24: Spectre. Both were very entertaining and true to their respective franchises. Less impressive was Terminator Genisys, which saw Arnie reprise his most famous role and audiences wonder what on earth was going on with the insane narrative. Jurassic Park and The Hunger Games also had respectable sequels, the latter rounding off an impressive film series, but the best sequel of the year and my film of the year was Mad Max: Fury Road. Directed by the original Mad Max director, George Miller, and starring Charlize Theron and Tom Hardy, the film was visually stunning, a rollercoaster ride of amazing action scenes and had brilliant characters. The real star of the film was Theron playing Imperator Furiosa, a character that surely must become a feminist icon. Fury Road was brilliant from start to finish in more ways than I can describe here, all I can say is go see it if you have not already and if you have then watch it again. British sci-fi films had a good year, much praise was heaped upon Alex Garland’s Ex Machina for being tense, creepy and making the audience think. However my favourite British film of the year was Super Bob, which I saw premiered at the Sci-fi London film festival. Super Bob is the story of a postman from Peckham who is given superpowers after an encounter with a meteorite. Unlike charismatic American superheroes, Super Bob is self-conscious, awkward and worried that he has signed up to two electricity suppliers. This film is hilarious and moving, in the tradition of many great British independent films. If it is showing near you then I highly recommend going to see it. Narrowly beaten to film of the year was Pixar’s latest, Inside Out, a film that ponders the question: what if feelings had feelings? This film is laugh a minute, surreal and a tear jerker, like all the best Pixar films. Pixar have been down on their luck with their recent output but this warm and funny film reminds us why they are the best studio in the world at making family films. The central message of Inside Out, that it is okay to be sad and that part of growing up is having complex feelings, is an important life lesson done in an accessible way and with great humanity. Accessibility and humanity are not how I would describe another of my favourite films of the year, High Rise starting Tom Hiddleston. Based on the classic J. G. Ballard novel, this movie is violent and subversive. It charts the complete moral and social breakdown of a new luxury high rise development with cold, sociopathic precision. The sight of so many geometric shapes and concrete in the architecture of the eponymous high rise pleased my visual sense and the excellent performances from Hiddleston, Jeremy Irons and Keeley Hawes made this a disturbingly intense film to watch. High Rise is not on general release yet, but I would recommend seeing it when it is. Star Wars cast a long shadow over this year and is undoubtedly the biggest film of the year. The impact was even felt in the indie documentary cinema scene and at the London film festival I saw Elstreet 1976, a charming documentary looking at people who played minor roles in the original Star Wars film and the effect on their lives of the fame it brought. In December The Force Awakens came crashing into cinema. Demand for tickets was high, booking websites crashed and fights broke out over tickets at a cinema in Lancaster. I am a big Star Wars fan and I loved The Force Awakens. It was true to the spirit of Star Wars, brought back some familiar faces and introduced some great new characters. Daisy Ridley and John Boyega were amazing as the new protagonists and Adam Driver was intense and creepy as the new villain. It is nice, for once, that the biggest film of the year is also one of the best. Originality was rare in 2015 and that looks set to continue in 2016. Comic book adaptations include Captain America: Civil War and Doctor Strange from Marvel, X-Men: Apocalypse and Deadpool from 20th Century Fox, and DC’s attempt to launch their own shared universe with Batman v Superman: Dawn of Justice and Suicide Squad - both of which I predict will be terrible. Sequels and remakes to look forward to in 2015 include Independence Day: Resurgence, Star Trek Beyond and the new all female Ghostbusters, which I am cautiously optimistic about. There will also be Rogue One: A Star Wars Story, filling in the events before A New Hope, and for fans of Regency romance and zombies there will be Pride and Prejudice and Zombies. 2016 will also see two high profile video game adaptations in Warcraft and Assassin's Creed, which begs the question has there ever been a good video game into film adaptation? Some of the biggest surprises of 2015 were films which I had initially written off - such as Mad Max: Fury Road - so I am prepared to be surprised in 2016. However, I think it might be a similar year to 2013, 2014 and 2015 - lots of good films but low on originality. That trend is unlikely to change soon. Warning: this review contains quite a lot of major spoilers for Star Wars: The Force Awakens. Make sure you have seen it before reading this as it’s dead good. Surely it is not news to anyone that there is a new Star Wars film out. There must be bacteria on Saturn that are aware of this. For the second time in my lifetime, a new Star Wars trilogy has exploded into the cinema with more hype than I thought was possible. Clearly as a culture, we love Star Wars. Or at least the middle class geeky, mainly male, cultural group I move in loves Star Wars. Not even Harry Potter can so completely unite my Twitter and Facebook timelines in squeals of fannish delight. This new Star Wars film has reached near omnipresent status. It is everywhere and everyone is talking about it. Star Wars has captured the cultural zeitgeist for a number of reasons, but mainly because this time the fans dared to hope that it would be good. Three sub-par, at best, prequels from George Lucas could not dampen our enthusiasm for more Star Wars. Fans are practically salivating with anticipation for another trip to a galaxy far, far away. The fans have every reason to be excited; J.J. Abrams is a good director and has made two very entertaining Star Trek movies. His rambunctious take on Star Trek strikes me as an expensive means of auditioning to helm the new Star Wars trilogy. I cannot think of a director who would be better for the role. The trailers showed a lot of promise; the force is strong with this one. There is one very difficult line Abrams had to walk, one that could make or break his take on Star Wars: how much do you rely on the recognisable characters and motifs from the original Star Wars and how much do you make this a film in its own right? Nostalgia verses originality. Clearly the film needs some of both, but getting the right balance is not easy. Watching Star Wars Episode VII: The Force Awakens, I must admit that it was great to have the classic Star Wars iconography back, something that had been missing from the prequel trilogy. It was wonderful to see a film with tie fighters, stormtroopers, star destroyers, X-wings and the Millennium Falcon. However, The Force Awakens did not rely too heavily on classic Star Wars characters. I appreciated seeing Lela, C-3PO and R2-D2 again but I am glad their appearances were brief to allow new characters to assert themselves. Said new characters were excellent. We had BB-8, the cute new robot rolling around, which looked convincing because it was a physical character that did not rely on computer effects. The new protagonist, Rey (Daisy Ridley), is engaging and sympathetic, from the beginning we are rooting for her to succeed. There is also Finn, a stormtrooper who does not want to be a stormtrooper anymore, played by John Boyega, who delivers the performance of the film, bringing energy and humour to the part. There is also Adam Driver playing new visor-wearing villain Kylo Ren, who is everything a blockbuster antagonist should be, creepy, evil, charismatic and a little bit frightening. Despite having a mainly fresh cast, The Force Awakens is filled with nods to Lucas’ original trilogy. From when Finn accidently activates the holo-chess set onboard the Millennium Falcon, to Rey living inside a wrecked AT-AT. There are a lot of these cameos of familiar motifs in the film, and it sometimes feels like a roll call of scenes we knew and loved from episodes IV–VI, but it satisfies the audience’s thrust for nostalgia. There were a lot of nods to past films, but The Force Awakens is a story in its own right. The new characters have lives and adventures of their own and are not crowded out by classic Star Wars characters. Han Solo is the only returning character to play a major role and Harrison Ford does so with the grace and dignity of an elder statesman. This is in contrast to Lucas’ prequel trilogy, which relied too much on classic Star Wars characters - Obi-Wan, R2-D2, Yoda - and did not develop its own characters enough. The other major flaw of the prequel trilogy was that it focused too much on the internal politics of the Jedi. The Old Republic’s priesthood/Gestapo were not as interesting as Lucas seemed to think they were and each prequel episode always came down to a lightsaber fight in the end. There was an absence of epic space battles or feats of dangerous piloting, which should be the meat and potatoes of any Star Wars films. The prequel trilogy lacked anything as exciting as the battle of Yavin at the end of episode IV. This issue was addressed in The Force Awakens as Abrams brought the epic. There were huge battles aplenty. The escape from Jakku was a breathtaking scene, with the Millennium Falcon flying loop-the-loops and then racing through the husk of a crashed star destroyer, chased by tie fighters. My heart was in my throat the whole time. As it was during the attack on Takodana when rebel X-wings fly to rescue the heroes and Finn tries to use a lightsaber for the first time. The greatest achievement of the film is its climax, when the rebels attack the new uber-Death Star. It combines daring feats of flying, an intense ground assault and a good versus evil lightsaber showdown. In a phrase: perfect Star Wars. This amazing sequence was ends with the tragic death of Han at the hands of his own son, Kylo Ren. It was a scene of genuine emotion. So many Star Wars deaths seem hollow, when the audiences does not care about the character, but Han has a special place in any fan’s heart and it was gutwrenching to see him go. Both Harrison Ford and Adam Driver played this scene superbly; it is the jewel in the crown of this film. The Force Awakens ends with a setup for the next film and a lot of the questions this film raises are left unanswered. I am very excited for episode VIII in March 2017 and I hope it delivers on the promise of this one. J.J. Abrams did an excellent job, taking on one of the toughest directing gigs in Hollywood. He managed to walk the line between the originality this film needed to be a story in its own right and the nostalgia it needed to keep the fans happy. The weight of expectation was enormous and Abrams rose to the challenge ably. Episode VII has lots of adventure, visual spectacle and epic space battles. This is what Star Wars is all about. This film has the energy and enthusiasm for the classic trilogy that the prequel trilogy was missing. I left The Force Awakens about as excited about Star Wars as I was when I was ten years old. I am now itching with anticipation for more Star Wars films in the future. My faith in the franchise has been restored. When Neil Armstrong first walked on the moon in 1969, it was broadcast around the world. For someone of my generation, it is hard to imagine a time when space breakthroughs were on the front cover of newspapers. Today, space exploration is confined to the science section of most news websites. Is that because we are not pushing back boundaries in the same way that we were in the 60s, or are people less interested in the exploits of private space companies when the benefits of their breakthroughs will not help all of humanity? Maybe we have all become cynical about space exploration because dreams of living on the moon by the end of the last century did not come true, or maybe we have simply stopped believing that the future can be different from today. Despite America being the first to land a human on the moon, the 1950s and 1960s were dominated by Russian space breakthroughs. The first satellite in space, first animal in space, first man in space, first woman in space and first group in space were all Russian. Now a new exhibition at the London Science Museum called ‘Cosmonauts’ looks at the history of the Soviet space program and its accomplishments. The exhibition tells the detailed story of the Russian exploration of space, through objects from the period, models, videos, photographs, audio and written accounts. The exhibition reveals the background to the Soviet space program that many people will not know in detail. For example, I did not know that Valentina Tereshkova, the first woman in space, worked in a textile-factory before going into space. The exhibition is arranged roughly chronologically from the early inspiration that Russian science fiction writers had on the space program, through to the launch of Sputnik 1 in 1957 and then Yuri Gagarin's first trip into space in 1961. The exhibits tell the story in a powerful and emotional way, bringing in the personal stories of the people involved. ‘Cosmonauts’ also shows how the USSR's achievements in space inspired the ordinary Russian people. As the exhibition develops, we are shown how fiercely Russia competed with America during the Cold War space race. Driven by early successes, Soviet leader Nikita Khrushchev put pressure on the space program for more and more firsts. The USSR's achievements were supposed to keep them one step ahead of the USA, which they were until NASA landed the first person on the moon. ‘Cosmonauts’ does not shy away from the fact that Cold War hostility drove Russia's expanse into space. The exhibition shows how military technology, mainly rocketry, was adapted for the Soviet space program and how America was alarmed by Russia's progress. Successfully putting satellites into orbit confirmed to the Americans that the Soviets had rockets capable of delivering nuclear weapons to the USA. These advancements in space travel where not "in peace for all mankind", as Armstrong claimed when he stepped down into the moon. ‘Cosmonauts’ also walks the fine line of acknowledging the political repression in the USSR at the time, whilst not being too hostile to the Soviet government. This is primarily an exhibition about scientific and technological accomplishments, and not political history. ‘Cosmonauts’ is not a critique of Communism but a look at the scientific history of the 1950s and 1960s space program. I am interested in both science and political history, and so I found ‘Cosmonauts’ fascinating. Beyond the history, I found it interesting because of my interest in modernism. Like a lot of the modernist period, the space race was a time when it seemed like the future was happening right now. People were not always optimistic about the future – the chance of the world being annihilated in a nuclear war seemed high – but people knew that the future would be radically different from the present. It is this dream, more than anything else, that we have lost. It is telling that ‘Cosmonauts’ ends at the end of the 1960s, when the modernist age was also ending. I found that ‘Cosmonauts’ was accessible to people without much technical knowledge of space travel or rocketry. Despite reading The Martian recently, I cannot tell my Apollos from my Soyuzs. The technical information in ‘Cosmonauts’ was pitched at the right level: not too much to be confusing, but detailed enough so that I learned without feeling talked down to. As a side note, I would certainly recommend picking up the audio guide for this exhibition. Partly because it is narrated by Helen Sharman, the first British person in space, but also because it gives the listener information about the exhibits without the need to crowd around the display signs, which will be busy on a weekend. I would recommend ‘Cosmonauts’ at the London Science Museum to anyone interested in the early years of space travel. Even if you know nothing about – or are not particularly interested in – Soviet Russia, this is a fascinating exploration of a (mainly) peaceful competition that once captivated the entire world. Hopefully it can inspire us to look upwards once again. The exhibition closes with the words of of Russian scientist Konstantin Tsiolkovsky: "Earth is the cradle of humanity, but one cannot live in a cradle forever". Andy Weir's novel of one man's struggle to survive on Mars has become a sci-fi sensation. The book was published to little fanfare but has become a viral success, ending up being Goodread's top sci-fi novel of 2014. The book is tense, well-plotted and uses the scientific detail to enhance the story of protagonist Mark Watney's struggle to survive. It has won over sci-fi reader after sci-fi reader, spread through peer-to-peer recommendations, and become a best seller. Inevitably, a big budget Hollywood adaptation has followed; the question is – can it live up to the book's success? The short answer is that it does. The Martian is a superb film, entertaining from its witty first scene to the more thoughtful final few moments. Although it is two and a half hours in long, the Martian flies by and I was hooked for all of it. Watney's struggle for survival in the barren, airless deserts of Mars is tense and his fellow astronauts’ plan to rescue him is filled with edge-of-the-seat tension. Ridley Scott is on excellent form behind the camera. His direction keeps the pace up and the film never drags, a real accomplishment for a film that is quite long and has a large cast of characters. Scott also uses special effects well, the action is intimate and focused on the characters. There are several dazzling scenes that doubtless employed an army of CG artists but no scene feels like hollow spectacle. The action drives forwards the plot and keeps the audience focused on Watney's precarious circumstances. Scott's film is a very faithful adaptation of Andy Weir's novel. Dialogue, and at times whole scenes, are lifted directly from the book. The plot is identical to the novel: astronaut Mark Watney (Matt Damon) is the botanist on the third manned mission to Mars. During a freak sandstorm, Watney is lost and his colleagues are forced to abandoned the planet and leave him for dead. When he awakes and realises what has happened, he sets about finding out how he can survive on Mars until the next manned mission arrives in four years’ time. 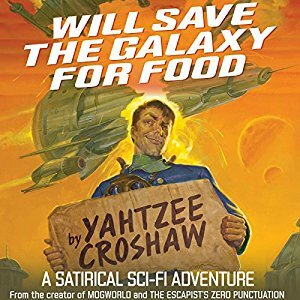 The problem is that he only has one year's worth of food and the airless, waterless surface Mars is a dangerous place to spend any amount of time. Meanwhile, NASA have found out that Watney is still alive and try to rescue him. The film takes the novel's most tense scenes and expertly transposes them into nail-biting moments of cinema. The scenes when Watney's Martian habitat collapses and when he finally escapes from Mars make for tense and exciting cinema – the latter scene is one of the best I have seen this year. All of the novel's large cast of characters are faithfully realised on screen in a series of great performances. Matt Damon excels as the ever upbeat Watney, a character he is perfectly cast for. Chiwetel Ejiofor is great as Vincent Kapoor, NASA’s Director of Mars Operations, the man in charge of saving Watney. So also Jessica Chastain, who plays Commander Lewis, Mark Watney's tormented superior officer. Other great performances are delivered by a stellar cast including Jeff Daniels, Michael Peña, Mackenzie Davis, Donald Glover, Kristen Wiig and Kate Mara, but a special mention must go to Benedict Wong who delivers the performance of the film as the hard pressed NASA's Jep Propulsion Lab director Bruce Ng. The only actor who disappoints is Sean Bean, whose enthusiastic performance appears to have been edited within an inch of its existence. Fans of the novel will be glad to hear that the science of how Watney grows enough food to survive on Mars and the technology behind NASA's rescue plans are not diluted for the film. They feature heavily and are ably crafted into the story so that the audience never feels talked down to or confused, whilst the novel's level of detail is preserved. The Martian shows how a hard sci-fi story can be as entertaining as any action blockbuster, when handled by a competent director with a good cast. My only criticism of The Martian is that it is perhaps too faithful to the book. Bringing a book with so many scenes and characters to the big screen means individual moments or characters rarely get a chance to shine. The film is long and although the tension remains high, some events are rushed through. It was great to see a film that was so faithful to a book that I love, but I would have preferred a greater degree of adapting the story to the medium of cinema. The isolation and loneliness, which the novel conveys so well, are not developed in the movie. This could have been achieved with a greater focus on Matt Damon and less on the other characters. A movie which followed his video logs would have been less tense, but would have allowed for a greater character study and would have more effectively drawn out the drama of his struggle to survive in a hostile environment. The climax and denouement scenes are substantially different to the book to show what a more Mark-Watney-focused film would have been like. It would have been interesting to see this movie. The road which the film could have taken does not detract from how entertaining and enjoyable The Martian is. It is an excellent adaptation that translates the strengths of the book to the screen and adds good performances and tense directing. I would certainly recommend seeing it to any fan of the book or of sci-fi cinema.